Please, do not reupload or use any part of my mods in your own without my permission. Thanks and sorry for my english. -v1.2 and v0.1 Orcrist - Scripts by DragonDude1029 added. Scripts make orcrist glowing when enemies are nearby(require SKSE). - Reequip when falmers are nearby. - Script has option: you can chose between orcs and falmers. Orcs option doesn't work. 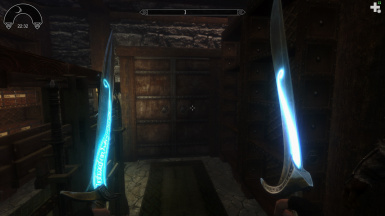 - Sometimes glowing one doesn't change to normal Orcrist(After reload game I think). Hey, everyone. 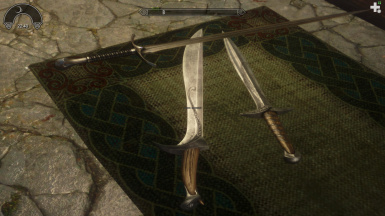 Orcrist or Goblin cleaver is the weapon of the Dwarf Lord Thorin Oakenshield from Tolkien's novel, The Hobbit. 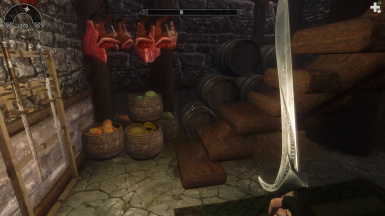 I've been looking for good version of Orcrist sword for Skyrim for a long time and decided to make my own mod. 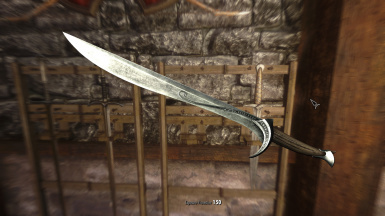 I'm a big fan of Isl's work and tried to make my sword the same quality as her swords. 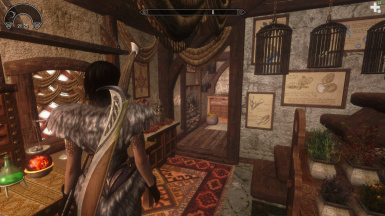 Also I like her Spiderbane and decided to make the glowing version of Ocrist(Yeah I know it does not appear to glow blue in an Unexpected Journey, but "Orcrist was like Glamdring and Sting in that 'being the work of Elvish smiths in the Elder Days these swords shone with a cold light, if any Orcs were near at hand, and so warned their bearers of nearby evil"). Both versions of Orcrist are craftable in Skyforge(glowing one requires standart version), upgradable and can be enchanted. 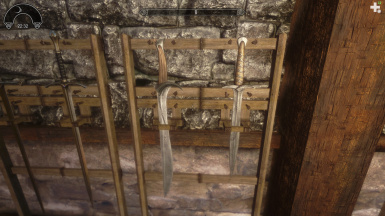 Also both versions has scabbards, hi-res hand-painted textures(4096x2048), realistic materials with reflection(thanks Isilmeriel for this). - Standart and glowing Orcrist versions are craftable in Skyforge. -v1.2: Fixed normal map and env map. 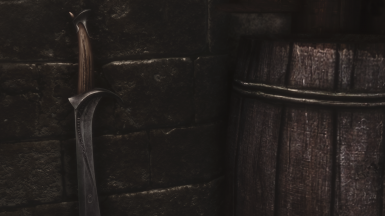 Added orcrist without scabbard(for ones who dislike scabbard). 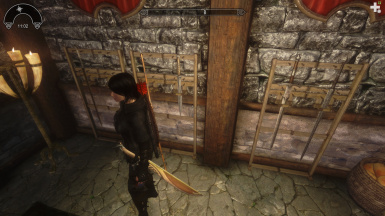 You can craft Orcrist in Elven section and scabbard in Misc section in Skyforge.